The South Orange County Community College District Board of Trustees seeks to encourage and protect academic freedom and responsibility. The District is committed to the free pursuit and dissemination of knowledge, and it seeks to foster the integrity of the teaching-learning process. The Board of Trustees, administration, faculty, staff, and students all bear an obligation to protect, preserve, and promote academic freedom within the institution. 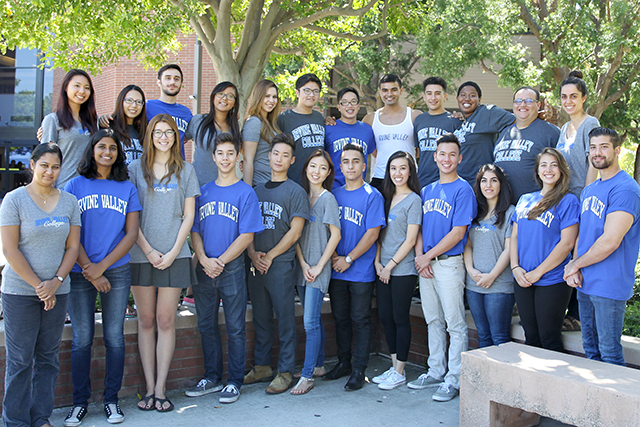 Irvine Valley College issues a new catalog each year. The information published in the catalog is in effect for the academic year beginning with the fall semester and concluding with the summer session. The courses required for a specific degree or certificate, or general education may change from one catalog to the next and, therefore, may change during the period of time that a student attends the college. Catalog rights, established when a student first takes classes at the college, protect the student from being held to additional requirements that may be added to a later catalog. Students maintain catalog rights by maintaining continuous enrollment in the South Orange County Community College District-that is, by receiving a letter grade of "A," "B," "C," "D," "F," "P," "NP," "W," "MW," "I," "IP," "SP" or "UG" on their transcripts for at least one course per academic year. Documented military or medical leave will not be considered an interruption of enrollment. Absence related to an approved educational leave or for attendance at another accredited institution of higher learning is not considered an interruption, providing the absence does not exceed two years. Contact the Office of Admissions and Records in such cases. If a program requires that students complete specific courses within an established time frame, the recency requirement may supersede catalog rights. An average courseload of 15-16 units each semester or term is necessary for a student to graduate within a two-year period. Students may carry a maximum of 19 units. A student who wishes to exceed the 19-unit maximum limit must have a cumulative 3.0 grade point average and must file a petition at least two calendar weeks prior to the first day of the semester. Petitions are available in and must be submitted to the Counseling Center. Students approved for overloads will be permitted to enroll in overload units one week before the term begins. Courses in the basic skills category include those numbered 300-399 in writing, Special Services, English as a Second Language (ESL), and mathematics. In most cases, students may not enroll in more than 30 semester units of basic skills coursework. Students identified as having a learning disability. The college may grant a waiver to the 30-unit basic skills course limitation to any student who demonstrates significant and measurable progress toward the development of the skills needed for successful enrollment in college-level courses. Waivers are given only for specified periods of time or specified numbers of units. Students who have exhausted the unit limitation will be referred to appropriate noncredit adult education programs. For waivers or further information regarding this policy, students should contact the Office of Admissions and Records.